Alnwick Castle and Gardens are one of Northumberland’s biggest attractions, attracting visitors from all over the country. The castle was also the setting for the Harry Potter films, which makes it even more interesting for children! One of the world’s most contemporary gardens, The Alnwick Garden was built to break the rules and no trip to Northumberland is complete without a visit to it. With something to interest all ages, from toddler to octogenarian, it’s well worth a visit. 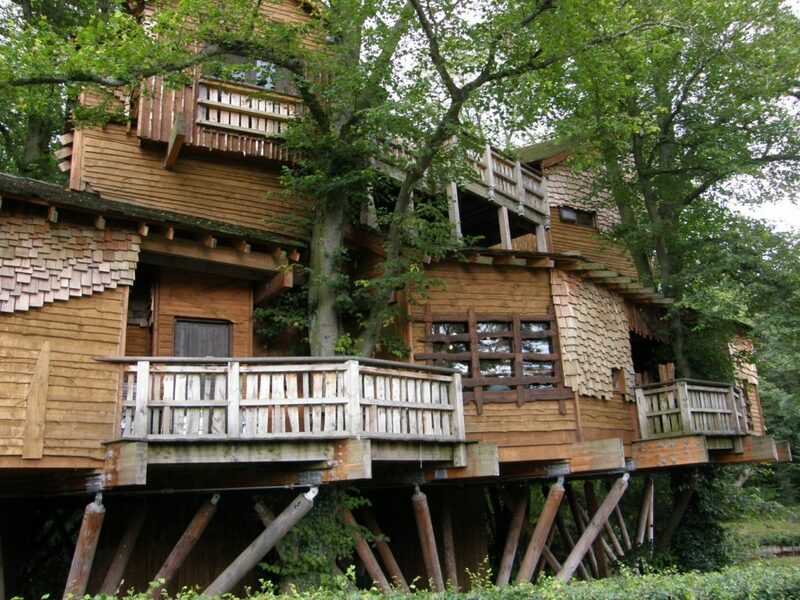 In addition to the Castle and Garden, the Alnwick Treehouse was built in 2004, and it not only houses an interesting restaurant, but is a sculpture in its own right, sitting high in the tree tops with wobbly bridges and walkways in the sky. At the Castle, hear tales of the Castle’s turbulent past – from kingmakers and the gunpowder plot, to fascinating architecture and one of the most impressive private art collections in the country. Climb the ramparts for a stunning view of the ‘Capability’ Brown landscape, and learn more about the Castle’s rich history in the museums nestled within its walls. Alnwick Castle is different. It is still a family home, and behind its iconic walls lie opulent State Rooms filled with a stunning array of art and furniture collected over the years by the Percy family. Discover a magnificent collection of art featuring work by Canaletto, Titian, and Van Dyck. There’s a beautiful gallery of Meissen, Chelsea and Paris porcelain, and the world’s only surviving pair of Cucci cabinets from the Palace of Versailles, originally created for Louis XIV. In each room meet our knowledgeable guides and see signs of modern living belonging to today’s generation of the Percy family, charmingly intermingled with priceless pieces and artifacts. Step into the pages of your own story in Knight’s Quest as you become the knight who slays the dragon or the princess of the Castle. Choose your medieval costume and discover all aspects of castle life, from swordplay and games to a medieval toilet! Become a master of medieval craftsmanship with a traditional craft on offer each day, from herbal soaps to the art of scriptorium. The castle has been used for many film sets over the years, most famously the set of the Harry Potter series, but more recently for Downton Abbey and The Transformers movie. At the castle there are three places to eat; the Medieval Courtyard, the Courtyard Café and the Hotspur Restaurant. Visit the website to find out more, booking is recommended. You can buy tickets to the castle upon arrival there or online at www.alnwickcastle.com. You can also purchase tickets for both the garden and the castle, which last for up to a year, meaning you can return at any time for up to a year for free! Alnwick Castle is a majestic medieval fortress dating from the 11th century and dominates the surrounding Northumberland landscape. It is the second largest occupied castle in England. For over 50 years, the gardens of Alnwick Castle lay derelict until the Duchess of Northumberland had the foresight in 1997 to turn them into a beautiful visitor attraction. It’s the most ambitious new garden created in the United Kingdom since the Second World War, with a reported total development cost of £42 million. 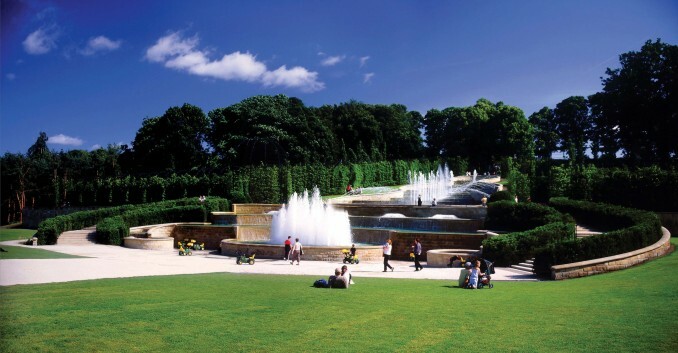 One of the world’s most contemporary gardens, The Alnwick Garden was built to break the rules. The Duchess of Northumberland embarked upon the creation of “a huge public garden of classic symmetry and astonishing beauty….” and today, The Garden is not only an inspiring lanscape, but the Wirtz International design has combined unique features and spaces to encourage interaction, learning and play. In February 2005, the Poison Garden was created, growing plants such as cannabis and opium poppies with great storytelling guides bringing to life the horror of some of these treacherous plants. From the tranquillity of the Cherry Orchard, the excitement of the Grand Cascade and the mysteries of the Bamboo Labyrinth, to the spell-binding water sculptures in the Serpent Garden, the intrigue of the Poison Garden and one of the world’s largest tree houses – there is plenty to surprise and delight. The Garden is a space designed to be enjoyed by all your senses, with a collection of over 4,000 plant varieties to discover, thousands of seasonal blooms and countless opportunities to get wet and play in The Garden’s water sculptures. The enormous and beautifully crafted Treehouse is built from sustainably sourced Canadian cedar, Scandinavian redwood and English and Scots pine. It sits high in the treetops in a copse of mature lime trees and looks as if it’s been there forever. There are walkways in the sky and wobbly rope bridges for bouncing on, all accessible by wheelchair and buggy. On the Treehouse deck there’s the Roost, one of the Garden’s education rooms, which shows films and hosts activities at certain times of the year. At the heart of the Treehouse is one of the most beautiful and unique restaurants to be found anywhere in the world. There’s a roaring log fire in the centre of the room, trees growing through the floor, handcrafted furniture and screens created from fallen branches. What else is there to do in Alnwick? 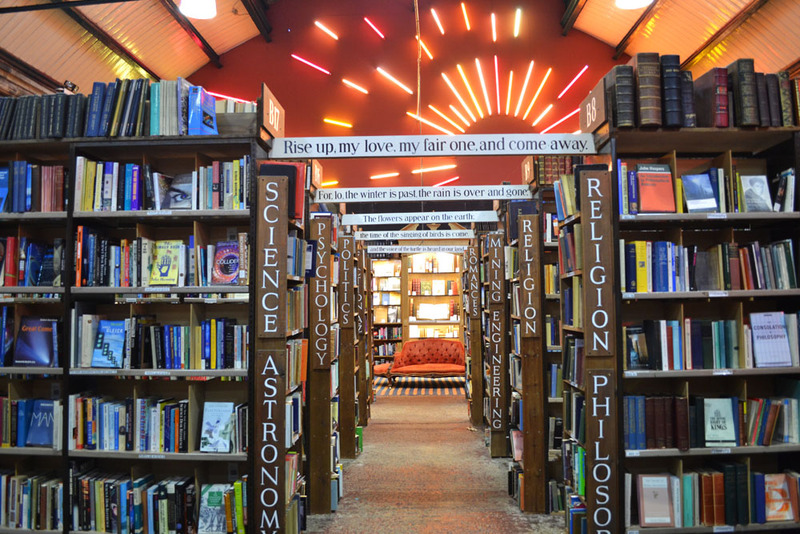 Barter Books is unmissable when visiting Alnwick, it’s just a short walk from Alnwick Castle and Garden. It is quite possibly the largest second-hand book emporium in the UK and has not only a vast selection of books of all genre’s but also a fascinating selection of rare and first-cover books too. It’s housed in the original Victorian railway station. Great to visit at any time of the year, it’s particularly warm and welcoming on a cool day, with a roaring fire to welcome you, tea, coffee and muffins to nibble on whilst browsing the books – so something more substantial in the super little cafe, set in the waiting rooms. Lovers of Downton Abbey will recognise Alnwick Castle as ‘Brancaster Castle’ in the Christmas Special editions of this incredibly popular period drama TV series. 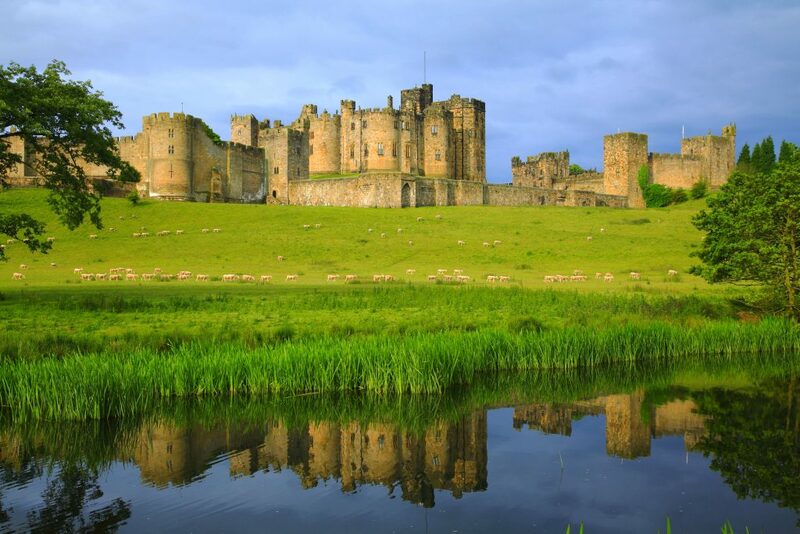 Alnwick Castle stars as the magnificent Brancaster Castle in both the 2014 Downton Abbey Christmas special and the 2015 Christmas special, which was also the very last episode of this world-famous series. The cast and crew of Downton spent two busy weeks at the castle in July and August 2014, filming extensively in the spectacular State Rooms, as well as in the castle’s grounds and at the semi-ruined Hulne Abbey in the Duke of Northumberland’s parklands in Alnwick, now a popular wedding venue. The grounds of Alnwick Castle provide the perfect setting for outdoor concerts and every year there are world-class artists appearing here, such as Tom Jones in 2016, Jess Glynne in 2017, Madness, Il Divo, Nile Rodgers and Chic in 2018. Tickets can be purchased from Ticketmaster.co.uk. Need a little help booking your holiday? We know all of our cottages and their locations incredibly well, so if you have any particular queries, please don’t hesitate to call or email us. We’re more than happy to help!